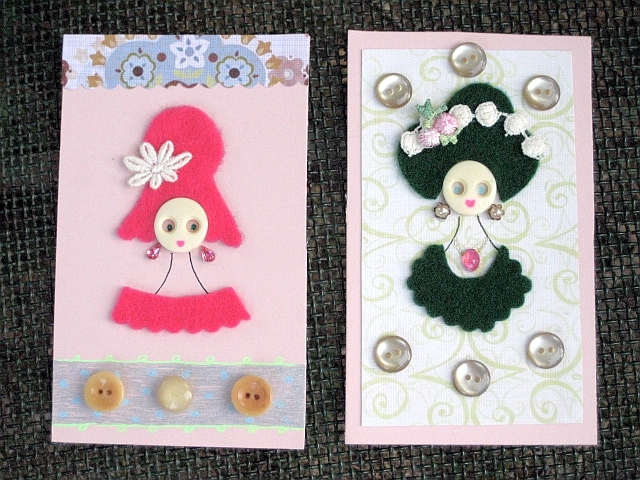 I finally found my creative inspiration and was able to finish my button cards for the Button Card Swap over at Heather’s sweet blog, Speckled Egg. Heather is gathering all the button cards and will then decide who to send them to. 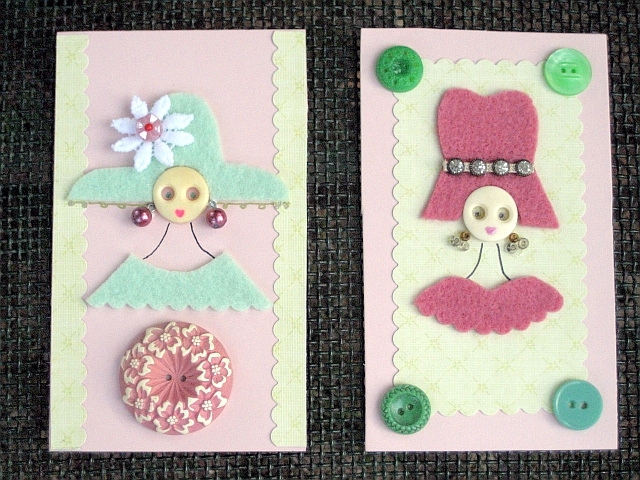 Mine were inspired by some homemade note cards that I found at an estate sale in Freehold, NJ a few years ago. Once I got rolling I had a lot of fun with these. When these arrive in the mail to whomever Heather selects, I hope they put a little smile on her face. Heather is also my swap partner for the Tiara/crown Swap and I am putting my creation in the mail to her today too. Since I live at the beach I used my surroundings as inspiration for my crown, and I call it a crown because it turned out to be way more than a tiara! These are sooooo cute! I love them! Those are so adorable, I wish I had gotten into this swap. You did a fantastic job! Those are so very cute! How fun they look, whoever gets those will love them, and be blessed. these are awesome!!! this is going to be a great swap!!!!! i’m almost done your tiara too!!! it will be in the mail sooooon!!! can’t wait to see what you made!!!! I found you via Jenny – Everyday is a Holiday – loved the apron you made for her. Your tags are Sew cute! !